Expecting something in the mail... but hate checking the mailbox 10 times an hour? You're sitting at home again waiting for a check... or maybe it's a package, or perhaps you simply love to dive into all the junk mail that comes addressed to "Resident". Whatever the reason, you just can't wait for the mail to arrive. But wait. Maybe it's already there. Maybe you didn't hear the truck drive by when you were in the bathroom. You'd better check, again. After all, it's been 15 minutes since you checked. Does this sound familiar? If so, this is exactly the idea for you. 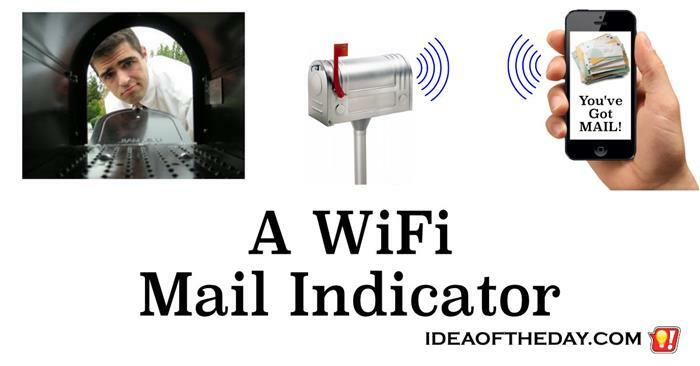 A WiFi Mail Indicator.